It is no longer news that Lagos State Governor, Mr. Babatunde Raji Fashola (SAN) has denied several times the report of a feud between him and his predecessor, Senator Bola Tinubu and alleged impeachment threat by the State House of Assembly under the leadership of Adeyemi Ikuforiji, but the sheer realities are vigorously playing out by the day which obviously show that the centre could no longer hold, but the smart Governor and his predecessor has often blamed it all on the works of the fifth columnist. Huhuonline.com understands that the cause of the sharp disagreement between the political God-son and God-father was not unconnected with N2.1 billion naira commission that Alpha Beta receives on a monthly basis; Fashola huhuonline.com learnt is unhappy and has complained about the N2.1billion commission accrued to the former Governor (Bola Tinubu) through his company, Alpha Beta, a Tax consultancy firm which collects tax on behalf of the state government. One now understands why the clamour for compliance over tax payment in Lagos now becomes a big issue. The State Government spends billions of naira in putting jingles, TV commercial, postal, handbills, billboards, adverts and advertorials in all the available mass media using all the major languages in the country to conveying the message to the public. The State even went as far as running TV commercial on the CNN, just to drive home the message of prompt and regular tax payments in the state all in the interest of Bola Tinubu. Other reasons purportedly cooked up on Fashola is not just disloyal to Tinubu, but the party at large (AC), giving that he has been involved in several anti-party activities in the state and also revealing all the State classified information and the party's to the press and the opposition, particularly the online media (huhuonline.com). The Tinubu loyalist also claim that the Governor and his agents have been giving out some details of secret affairs of some of the serving Commissioners and other principal officers in his cabinet, who are in advisory capacities, believed to be loyal to Tinubu, with the attempt to malign their image, expose them of their atrocities and even to frustrate them out of the system. They also frivolously alleged financial indiscretion, and administrative incapability on the part of the Governor. Huhuonline.com reliably has it that Tinubu was not favourably disposed to the Fashola's re-election in 2011 poll because of alleged “growing wings.” He was said to be rooting for the candidacy of the incumbent Commissioner for Environment, Dr. Muiz Banire, in 2011. Our findings have it that Banire and Fashola often engage self in some verbal attacks in full public glare and that Banire has equally make it a usual habit to always come late to their weekly executive sessions. Not just Banire also the controversial Tokunbo Afikuyomi equally treat the Governor with disdain with the belief that he is a traitor to his God father Senator Bola Tinubu. Huhuonline.com can conveniently say that Tinubu's preference has polarized AC in Lagos State, especially the State House of Assembly and the entire kitchen cabinet in the state. Just recently, a meeting was held and well attended by some high profiled power brokers of Action Congress, in the outcome of the meeting; State House of Assembly denied reports alleging that it's plotting to impeach the state Governor, Babatunde Fashola. Reacting to this, Fashola who has often maintained a diplomatic stance on this issue, said the meeting they had was primarily centred on the review of the 1999 Constitution of the Federal Republic of Nigeria, dismissing the report of impeachment threat. According to him, the meeting includes Senator Olorunimbe Mamora, Honorable Femi Gbajabiamila, elder statesman, Alhaji Femi Okunu, Attorney-General and Commissioner for Justice, Mr. Olasupo Shasore (SAN) and Commissioner for the Environment, Dr. Muiz Banire among others. The Governor explained that the deliberations between Tinubu and other participants were based on the ongoing Constitution Review Committee, for which Lagos State had been billed to host the South-West zone. He said: "We just finished a meeting on Constitution Review. Lagos will be hosting the South-West zone. It is imperative for us to put things together before the committee arrives Lagos. You will recall that Tinubu, in his eight years as governor, had championed the course for Constitution Review. "There is no rift between Tinubu and I. There are certain things that must be respected and should be discussed in politics. The relationship between Tinubu and I goes beyond being a governor and I will do all I can to sustain it. Some people are dreaming and if they remain in their dreams the development of Lagos will go on and leave them behind. There is no reason for us to fight. Speaking on the alleged impeachment threat, Fashola said: "Tinubu is my leader and the leader of my party, the Action Congress. The state remains solidly united and I will urge all to stop peddling rumours." Meanwhile, Tinubu was all anger, when he walked out from the parley held at Lagos House, Marina, but Gov. Fashola denied any rift when asked to comment on the parley. Just like the God-son too, the immediate past Governor of Lagos State, Bola Tinubu, also debunked insinuations of a cold war between him and Governor Babatunde Fashola. He said the tie between them is "unbreakable and unshakable". Tinubu described the insinuation as "pepper soup and beer parlour talk". His words: "Tell Lagosians that this unity is with a common vision, a common transition, a common goal , belief and a strict focus for the good of the people of Lagos State and Nigeria." You've seen me here today; is there any sign of discord? Once in a while, I visit to really talk or review. I don't like coming often to disturb him or distract him. But whatever stories you've heard about us having issues are lies; it's a fabrication coming from the PDP and enemies of progress." He said Fashola is doing a marvelous job. Tinubu went on: "You can see the transformation, radical development of Lagos State, and he is very effective and focused. "We have a division of responsibility here. I am a politician and you have a serious, focused governor who a technocrat is doing his job. There is no doubt there would be friction, but we have developed that relationship over the years in the cabinet. We didn't establish a cabinet of robots; no master-servant relationship. Rather, we have been a progressive government. I tell you the unity, solidarity and sense of brotherhood would be a threat to our party's opponents, what they cannot achieve through the front door they would achieve through the back door." To Tinubu, "What the detractors are enviable of is a demonstration of how a great model of political relationship and governance should be." For the followers of Lagos politics it would be recalled that late Engineer Funsho Williams won Lagos Gubernatorial Primary under the platform Alliance for Democracy in 1998/1999 but it was resolved by some party elders that since Tinubu has been in exile for many years as a consequence of Abacha's threat to his life, he should be allowed to run as the party flag bearer as 'compensation' to the troubles he went through during those locust years of Abacha rule. And also Funsho Williams who served under the Military (Col. Buba Marwa) as Commissioner for Works was asked to wait for 4 years; at the expiration of Tinubu's tenure of 4 years term, out of greediness and power-drunk syndrome, Tinubu refused to allow Funsho to contest. Funsho however left AD angrily and contested against Tinubu in PDP, but he eventually lost to AD. In preparation for 2007 guber election again, Funsho who has got a lot of sympathy from Lagosians rolled out drums for support again, and the momentum he gathered showed that he would defeat the Tinubu's party (from Alliance for Democracy, AD to Action Congress, AC) some weeks to PDP primaries Funsho Williams was murdered in cold blood and the killers are yet to be apprehended . This perpetually made his dream of becoming Governor of Lagos State a mirage. This development however, doused tension for AC in Lagos and more so, most of the PDP big wigs then decamped to AC with their hundreds of thousands of supporters, some of them are Enoch Ajibosho, Commissioner for Agriculture, Adenrele Adeniran-Ogunsanya, SSG, Prince Adeniji Adele Commissioner for Youth and Sports etc. They all left PDP as a result of the candidacy of Ambassador Musiliu Obanikoro, whose emergence as party flag bearer did not go down well with them. 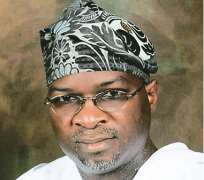 Also Tinubu who has wield to himself power of 'God-fatherism' handpicked very undemocratically the serving Governor Babatunde Fashola, who was his Chief of Staff as the flag bearer, this also caused a major crack in Action Congress leaving all the 11 aspirants who had been parading themselves initially for the position to leave AC over the alleged imposition of Fashola. Prominent among the aggrieved aspirants then was Jimi Abaje and the then Deputy Governor to Tinubu, Mr. Femi Pedro. Femi eventually got a ticket under Labour Party and Jimi also in DPA. In all of this Lagosians will have to keep their fingers crossed till 2011 and see what the event will unfold in the fiasco between God-Father and God-Son, as well as other political parties and candidates who are desperately ambitious for the same seat in the same year, indeed time will definitely tell.